When the weather is warm and the skies are clear, you don't need a heavy, padded ski jacket - in fact, you'll probably get too hot too quickly. On days like that, a softshell like the Sunice Lucy Softshell Jacket is a great choice, since it has a light 60G Primaloft® fill and a midlevel, 10K waterproofing rating. However, you can wear this as an outer layer on whiteout winter days too, since it has an adjustable hem, a goggle wipe, and even a gripper elastic powder skirt to keep the snow out and heat in. The Lucy Softshell Jacket sleek, a high-performance softshell that will make an excellent addition to your ski wardrobe. This softshell jacket offers light protection on spring days or can be layered in the winter. A 10K waterproofing and breathability rating offers mid-level protection. You can remove both the faux fur lining and the entire hood for a more modern, city look. "Is the fur trim removable?" 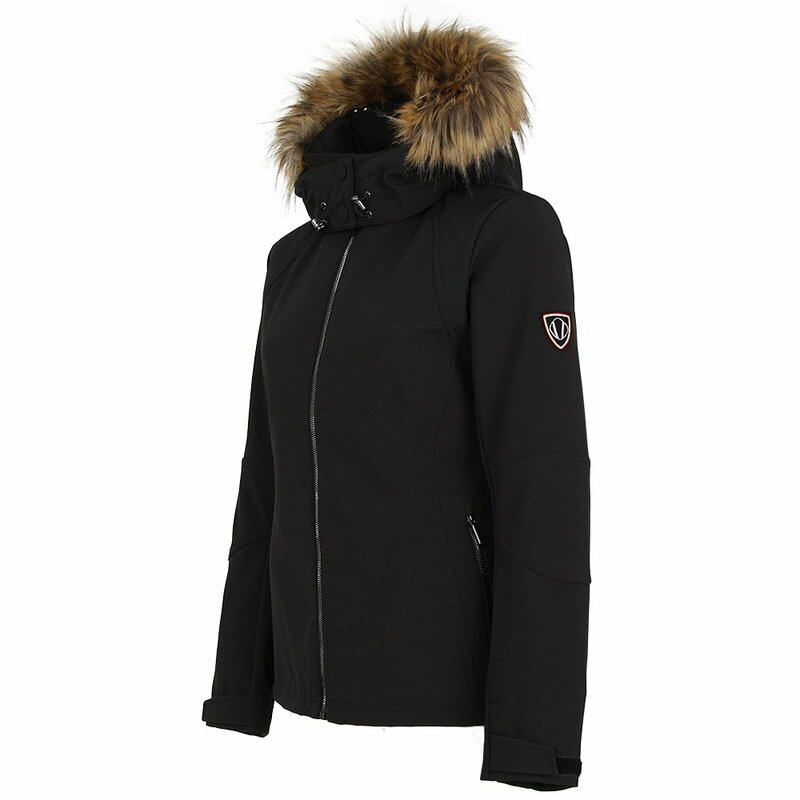 "You can remove both the faux fur lining and the entire hood on the Sunice Lucy Jacket."